Slay: Summon the slain creature. 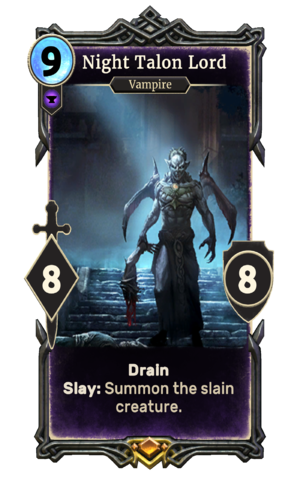 Night Talon Lord is a legendary Endurance creature card. It is part of the Core Set. "Not even death can save you." This page was last modified on 14 February 2019, at 11:56.